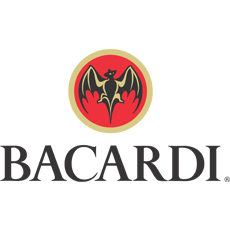 The history of Bacardi shows that true passion cannot be tamed. After starting the Bacardi Rum Company in 1862, the Bacardi family had to weather earthquakes, outbreaks of cholera, a revolution and actually being exiled from the country. That didn't stop them from producing world class rum. Revolutionise your office events and parties with Bacardi from Zepbrook. Get your Bacardi Rum drinks from Zepbrook tomorrow: order before 5pm if you're in London (or the M25 area). Do you need alcoholic beverages that are not currently listed on our website? Contact us - we can source and deliver many other products for a competitive price. Call us now on 020 8752 0110 or enquire online. Sorry, we don't currently offer any of these products.